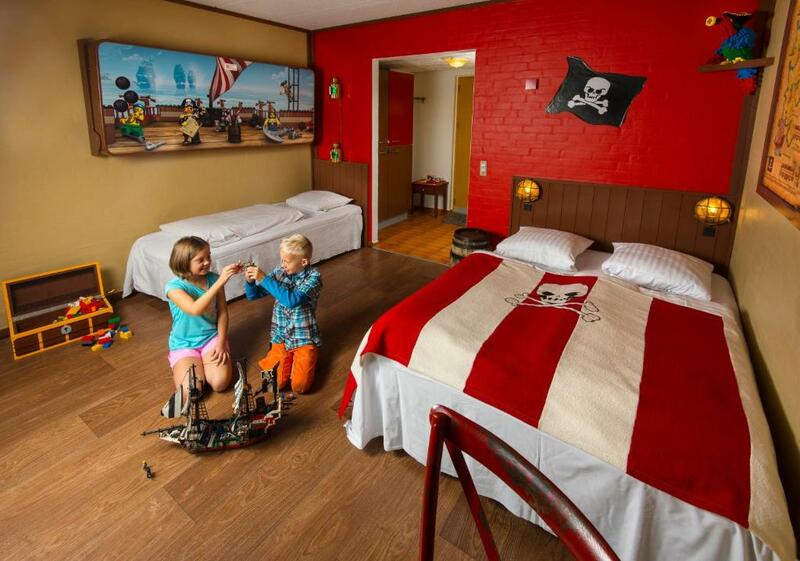 Lock in a great price for LEGOLAND Pirates´ Inn Motel – rated 8.1 by recent guests! It's really not that far from Legoland, only about 10 minute walking distance. Rooms are fully Lego pirate themed. Very cute. The cabin was a rustic cabin as described and the location was fantastic. It was clean and we had no problems with it at all. I liked the location. Only a few minutes walk from Legoland and Lalandia. The breakfast wast great. We also ate st the buffet in the evening the the food was very good. It was expensive but less the other options around this resort. The buffet was very good, expensive but good. The kids playroom at the restaurant was awesome! 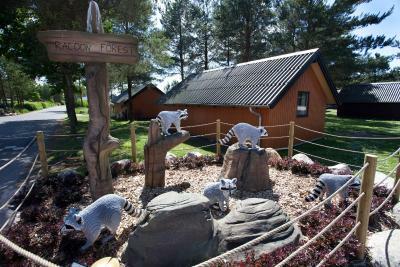 The playgrounds in the village were great and the animals, and the staff was soooo nice :) I recomend a stay there! Location near the park's entrance, the outdoor children's play ground, and the friendly staff. The friendly atmosphere. Easy going Danes. Safe and rather quiet place. Booking.com was not clear that we needed to rent the sheets and towels before we arrived. Our cabin was about 1/4 mile from reception; we had baggage for 6 (two of whom were tired 8 and 6 year-olds), add six plastic wrapped sets of linens and it could have been a disaster. If you are not arriving by car, the Legoland Hotel might be a better choice. All that being said, it was beautiful, goats for the children to feed and pet, a bouncy thing, and a playground. It was very quiet and once we were rested we enjoyed the walk to Legoland. There is a sculpture park path to Billund, which was about a 25 minute stroll. I would stay here again, renting the linens in advance so they are delivered to the cabin. 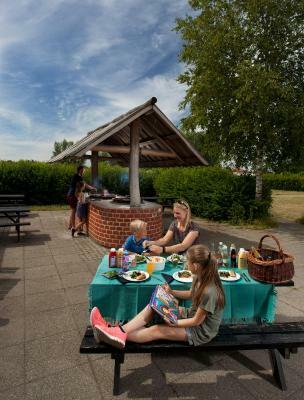 Legoland Holiday Village is only 1,650 feet from Legoland and next to Lalandia Water Park. 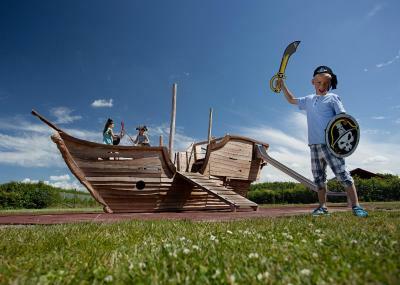 On-site facilities include a landscaped park with a petting zoo and a children’s playground. 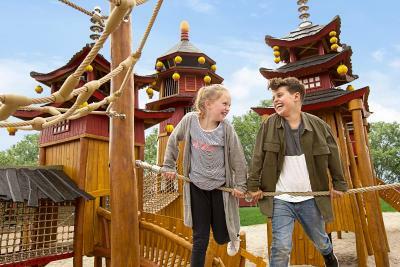 At Legoland Holiday Village guests can stay in western style tents, or book comfortable rooms or cottages, which have either shared or private bathroom facilities. Each cottage has a furnished patio and a kitchenette with all utensils needed for a relaxing, self-catering break. 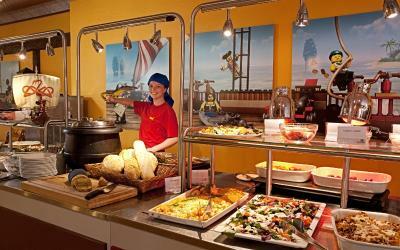 The on-site restaurant offers an international menu and a children’s buffet. In addition, there’s a supermarket next to the reception. Guests can buy discounted 2-day tickets to Legoland Theme Park. Givskud Zoo and the Gyttegård Golf Course are both reached within a 20-minute drive. Free private parking is possible on site. When would you like to stay at LEGOLAND Pirates´ Inn Motel? This family room has a seating area with flat-screen TV, a private entrance and tiled / marble floor. The bathroom has a shower. This quadruple room features a tiled / marble floor, private entrance and seating area with TV. The bathroom has a shower. This family room features a tiled / marble floor, private entrance and seating area with TV. The bathroom has a shower. 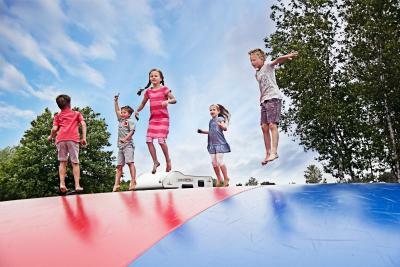 Right next to LEGOLAND Billund Resort is the atmospheric LEGOLAND Holiday Village with lots of outdoor activities and plenty of room for play. Here, you can choose between spending your night in Wild West cabins, pirate rooms, Indian tents or on our camping ground. 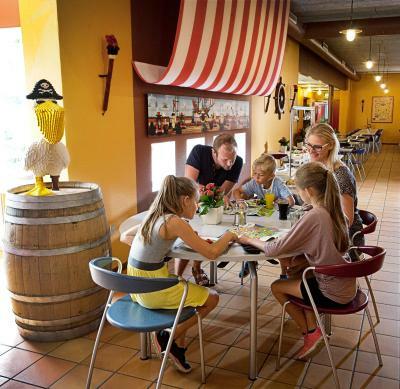 House Rules LEGOLAND Pirates´ Inn Motel takes special requests – add in the next step! 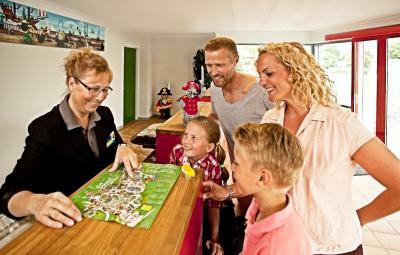 If you expect to arrive after 18:00, please inform Legoland Holiday Village in advance. 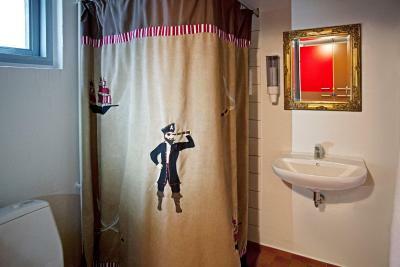 Bed linen and towels are not included in the cabins. You can rent them on site or bring your own. At Legoland Holiday Village, there is a charge when you pay with a credit card. Nothing, really, it was excellent. Absolutely fine, the grandchildren were especially pleased with the opportunity to make their own pancakes. The whole complex is outdated, and the amount of decoration making it a kids' place is relativelly small. Just from having a lego case in the room and a few posters is a bit....hmmm... The amount of lighting in the room is really low. The shower/bathroom is very basic and felt like you are in a student dormitory. Children loved the 4 wheel buggy to go around the camp site. They also loved the monster pancake at the breakfast. We stayed there on the dates LEGOLAND was closed (our main aim was LEGOHOUSE). There were probably only 4 other families staying so we felt we had all the play area/toys to us. Amazing. Food are really bad in general. Even breakfast is not good. Beds mattress are very very very hard. 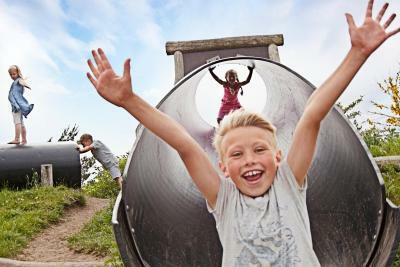 It is expensive, but children's experiences are priceless. Everything was perfect! All staff and people around are radiating joy! 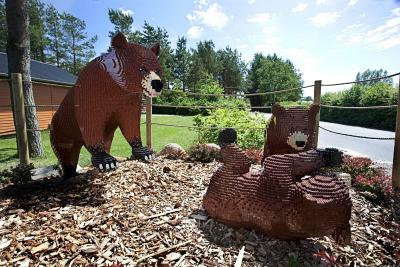 Very interesting place with its playgrounds, animals and a lot of Lego's things. 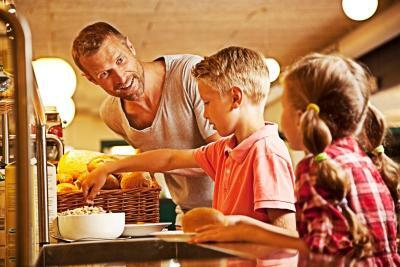 You can easily spend a day without Legoland or Legohouse here;) The breakfast is good. The blankets are too thick and warm. The big bed is too small for two adults. The bed linen rental was very expensive costing approximately $90CAD ($75 USD or 50 GBP) for 2 adults and 3 children for 2 nights (while the rental was clearly laid out as an option, the ridiculous price was not). You then can make your own beds and are expected to strip them and carry back the used linens when you are done. The linens were torn and well-used. The Pirates Inn Motel also wanted all dishes cleaned and returned to their proper place (which is no problem) except there was no dish soap provided nor did the small on-site market store carry dish soap. Failure to do your dishes results in an extra fine. We had to go hunting for dish soap! These factors, while small, took away from our overall satisfaction with the trip. The cabin was very clean and had almost everything required. Location & super accommodating family focused experience. 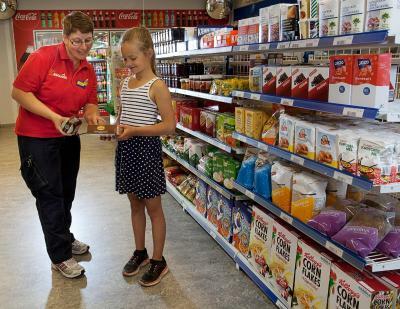 Helpful and easy-going staff. Everything is family friendly as you expect it to be. Nice environment, easy connections to Legoland, Aquapark, cafes in the nearby areas, shuttle bus directly connecting to the airport. Restaurant has an pricey, but not so tasty buffet. The wilderness barell is small but cosy, very clean. Facility building was clean, with familyshowers. Nice children activities at walking distance. Had to pay for sheets. Wild west cottage was very small and the cottage shook when any of us for up our of bed to fo to the bathroom in the night. Food was not great. No dish soap/ paper towels but did have toilet paper. Had to do all dishes before leaving or got charged. The accommodation was very small for 5 of us and the kitchenette literally only had a tabletop 2 ring hob to cook on... No microwave grill etc. Expected more as it was self catering accommodation. Everything was great! Helpful and kind staff. Perfect breakfast. A lot of entertainment for children!